On March 26, 2013, the Dragon Capsule left the International Space Station after three weeks, concluding its mission to deliver science equipment and supplies to the astronauts aboard the station. Released remotely by astronauts manning a robotic arm, the Dragon returned to earth with experiment samples gathered from the station. 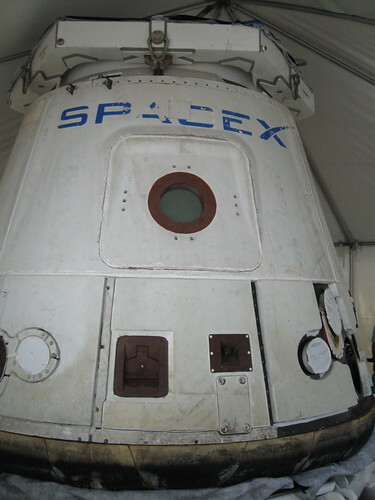 The Dragon Capsule made its first visit to space in May of 2012. A commercial space vehicle designed and manufactured by California transportation company Space Exploration Technologies Corporation â?? SpaceX for short â?? the Dragon Capsule was built for the express purpose of providing a reusable vehicle to transport parts, equipment, and eventually humans, to and from Earth orbit. In 2006, SpaceX received a COTS (Commercial Orbital Transportation Services) contract to design a vehicle and launch system capable of re-supplying the International Space Station. With their first successful demo mission in 2010, SpaceX became the first private company to successfully launch and recover a spacecraft â?? and hit another first in 2012, with their first successful mission to send the unmanned Dragon Capsule to dock with the ISS and then return to earth. According to rumor, the Dragon was named after “Puff the Magic Dragon,” as a response to critics saying commercial spaceflights were an impossibility. While SpaceX has yet to undertake a commercial manned spaceflight, they have the first such mission planned for 2015, using the DragonRider, a manned variant of the Dragon. The DragonRider’s design is geared toward future lunar or Martian spaceflights. Since 2012, the unmanned Dragon has been making regular runs to and from the International Space Station, under contract with NASA as part of their Commercial Resupply Services program. Capable of being operated remotely, the unmanned Dragon launches atop a reusable Falcon 9 booster (also designed and manufactured by SpaceX), a two-stage liquid oxygen rocket. Upon return to Earth, the Dragon deploys a chute for landing in the Pacific Ocean, where it is later recovered. For its future flights, SpaceX plans to implement a system of landing gear and upgraded thrusters so the Dragon can make a landing on solid surfaces. The Dragon comes equipped with a pressurized cargo area for delivering its payload and a heat shield so it can survive re-entry into Earth’s atmosphere. The Dragon also features solar arrays to provide power to the unit, and a series of discrete thrusters so it can maneuver in space. As the first company to successfully launch and maintain a commercial spaceflight program, SpaceX is poised to play a huge part in the future of spaceflight, especially with the recent retirement of the NASA’s space shuttle program. SpaceX is on record as saying they want to be “the go-to cargo company of the future,” working with NASA and the Department of Defense to keep the space program on the cutting edge of technology and development. 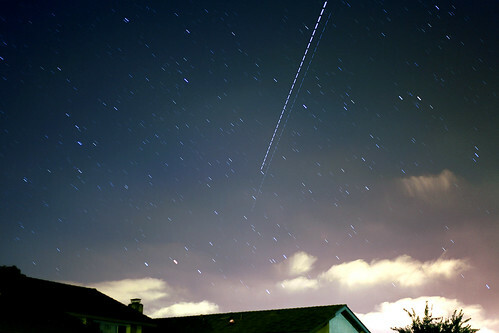 SpaceX wants to make commercial spaceflight economically sustainable. So what does it take to work for an organization like SpaceX and become part of that future? Most likely, an engineering degree. Even though SpaceX prides itself on simple, functional design with an eye on reusability and sustainability, the Dragon and Falcon 9 programs are masterworks of engineering, not just at the conceptual level, but at the manufacturing level. SpaceX needs design engineers for its batteries and hardware, industrial manufacturing engineers for its avionics and electronics systems, aerodynamics engineers, and software engineers for its flight software, telemetry software, and hardware/software integration. Commercial spaceflight was once thought to be a science-fiction dream, and launching and recovering spacecraft the territory of governments. But with the success of the Dragon capsule, it’s clear that commercial spaceflight is not only possible, it may guide the future of space exploration itself. Author: Jenny Ann has an interest in engineering and recommends you check out the latest Telegraph engineering vacancies. Who knows, you may next be involved in space missions like these! Why do people spend so much money on space exploration? After all, we can only venture so far. I don’t get it? Use a telescope instead, it will save a lot of money and the world can continue to invest in polluting the atmosphere and recording shallow lives on social media channels that eventually disappear in time.